Leading safety gear specialist, Elliotts has carried out a series of changes to their firefighting systems to reduce the stress factor for firefighters. During any fire operation, firefighters rely on a strong team to back them up as well as high quality firefighting equipment and safety clothing to support their own body systems. Firefighters in structural or wild land fires put their body through various stress factors including extreme heat, direct contact with flame, smoke inhalation, gas vapour environments, moisture from internal and external sources, physical exertion, touch point damage from environmental surfaces and localised weather conditions. Anthony Elliott explains that many of the changes made to their firefighting systems aim to reduce stress to the body while increasing protection during a fire. When firefighters use their personal protective equipment (PPE) during a fire situation, the gear should be responsive and comfortable. By improving the PPE, firefighters can be more comfortable in these extreme environments, allowing them to perform their jobs with greater ability and under less stress from poorly designed equipment. 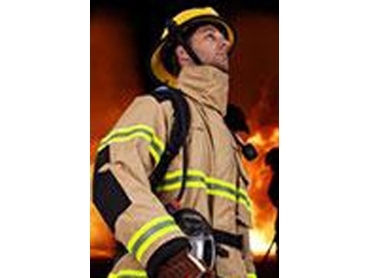 The modified design of the X-Series and E-Series reinforced firefighting systems gives a higher level of protection to the wearer while providing better mobility and causing less stress on the wearer during any fire situation.